The king is back, again. 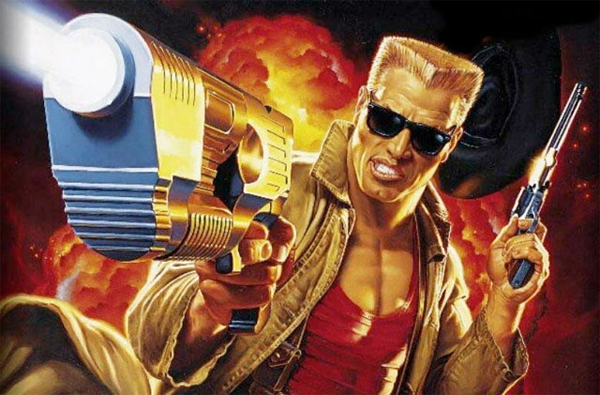 Duke Nukem 3D just landed on the Android Market for the low low price of $.99 for the first episode. If you have never played a Duke game before, this is a wonderful chance to do so aside from pirating a copy of it to play on a monitor that will point out how bad the graphics looked back then. Thankfully, the controls have been ported over to the mobile space, using the on-screen thumb pads we have grown accustomed to in games. They even have a ‘swipe to look’ function as well and there is native support for large screen devices so tablets can get in on all the Duke action. A couple caveats with this game; the first being, do not let your children play it. If you haven’t heard of the Duke, you need to know that he has one of the funniest, but foulest in all of video games. The second and third episodes can be unlocked through in-app purchase after you complete the first episode. The Market listing for this game has it rated at a 9.4 out of 10 – not that this game is not awesome – but that rating is for when it came out in 1991 on the PC. If the Duke timeframe applies to this game it will be 14 years before we see a mobile port of Duke Nukem Forever.